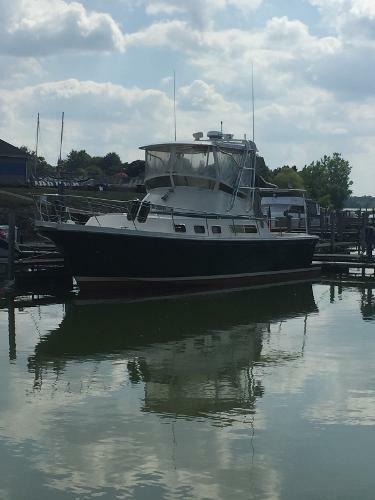 2000 Albin 32 plus 2 Command Bridge Major Price Drop, Inside Heated Stroaged Included, Beautiful 1999 Albin 34 Command Bridge for Sale, This boat has been care for very well, Inside Heated Storage in Winter, Great Electronics, Has the Convertible Dinette Layout, Great Cruise Speed along with Great Fuel Burn Rate. 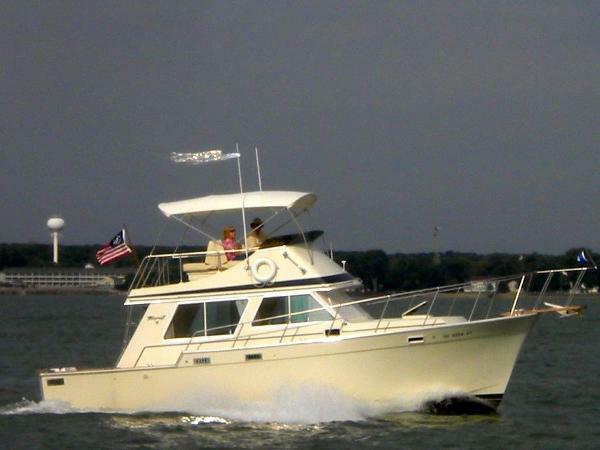 1990 Ricker 48 Sportfish MAJOR PRICE REDUCTION!Act Fast on this All Fresh Water Sportfish! 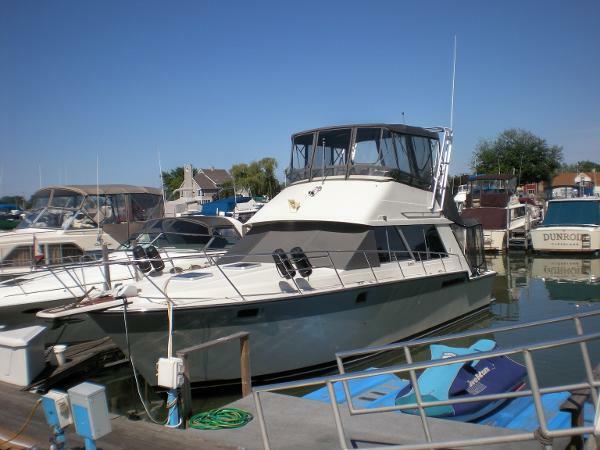 This vessel accommodates 4 owners and guests in two staterooms with two heads. The owner's stateroom is forward and includes a private head with stall shower. To port is the guest head, followed by a large galley; opposite, to starboard, is the guest stateroom. Up and aft to the large salon with convertible sofa and hi-lo table to starboard and occasional chair to port. Aft to the cockpit; then, up to the flybridge. The interior is a rich teak and appointed with many custom features. She is an able sport fisherman with all the comforts of home. She is designed for outstanding performance, speed and the ability to tame rough seas. 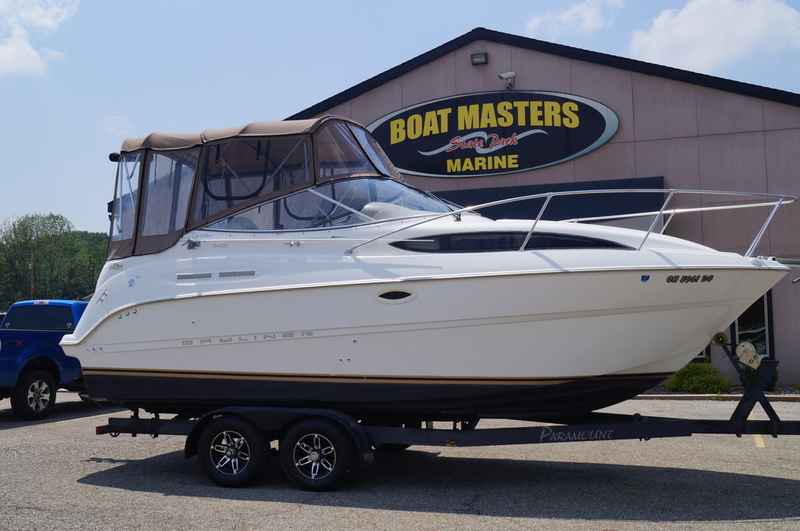 Her condition and recent updates make her an excellent value and a MUST SEE for anyone interested in a sport fisherman/cruiser.Fiberglass Hard Top8v92's!All Fresh WaterThis boat is on site, please call to set showing appointment. Sales office is closed on Sundays. 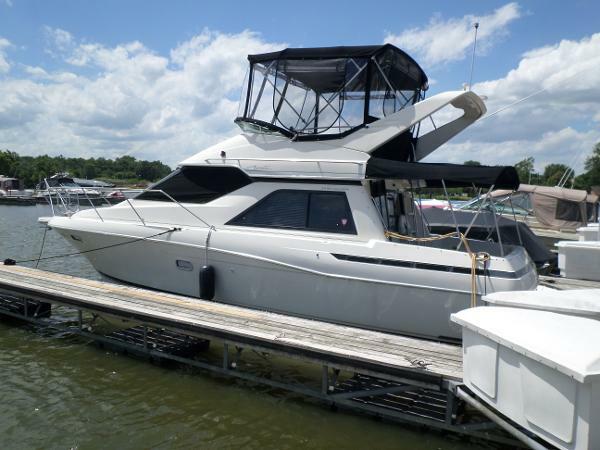 1996 Bayliner 3488 Avanti 1996 34' Bayliner Avanti Command Bridge. T/Mercruiser 7.4L Blue Water inboard V- drives with fresh water cooling! A fresh water original owner boat! 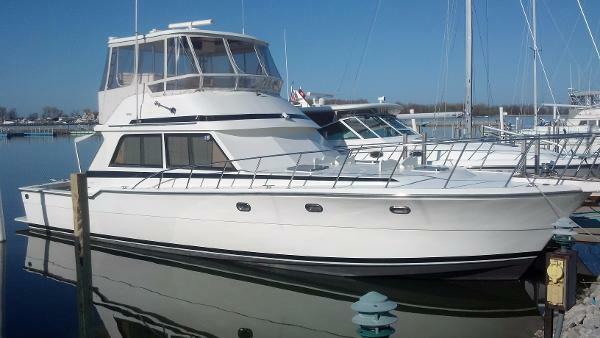 This boat is turn key, CLEAN and ready for the remaining portion of the summer. You don't find vessels like this very often! Some options and features but not limited to include: a spacious fly bridge which contains plenty of seating for at least 7, 2 removable dinette tables, a full bridge enclosure including screens, radar arch with a digital TV antenna, Garmin 440 GPS/map, VHF radio, separate stereo system w/ remote, compass, an aft cockpit also containing a full enclosure and plenty of storage, cockpit shower, transom door and easy to access battery switches. In the cabin you will find a meticulously kept interior with a refrigerator, microwave, 2 burner stove top, reverse cycle air/heat, drop down dinette/berth, V-berth , port side double berth, separate couch up, sink with hot/cold water, spacious enclosed head w/ SEPERATE SHOWER STALL, a lower station with engine controls and gauges and so much more!! An anchor windlass, battery charger, sea strainers ,shore cords and other mechanical options round out the list. She has been stored inside heated storage for the winter months. This is a close to a new vessel as you are going to get besides spending hundreds of thousands to replace this. Call for more details and a viewing of this beauty!! You will not be disappointed!